I am Professor of Philosophy at the University of Miami. My most recent book is Making Objects and Events: A Hylomorphic Theory of Artifacts, Actions, and Organisms. The book is largely about artifacts and I am now thinking more about making and creation, and about social ontology and the philosophy of literature. Before this current phase of research, I worked in epistemology. My previous book is Epistemic Dimensions of Personhood, which dealt with the ways in which what it is to be a person has specifically epistemological consequences. My current book-in-progress, A Certain Gesture: Evnine’s Batman Meme Project and Its Parerga!, is a radical, cross-genre work that combines philosophy (especially metaphysics and philosophy of language), psychoanalysis, and literary theory with self-writing. You can read an overview of it here. I also have a blog about it, The Parergon, which, as its name suggests, is itself a parergon to the book. On this site, you can find my CV, information about publications (with links to the full text of papers), some musical compositions from an earlier phase of my existence, extensive material on how Couperin’s piece “Les Barricades Mystérieuses” (The Mysterious Barricades) has been used by other creative artists, some translations of songs by the Italian singer-songwriter Fabrizio de André, and a translation of the philosophically interesting sonnet “S’i fosse foco” by Cecco Angiolieri. Here is a piece I wrote for the Oxford University Press blog on memes. 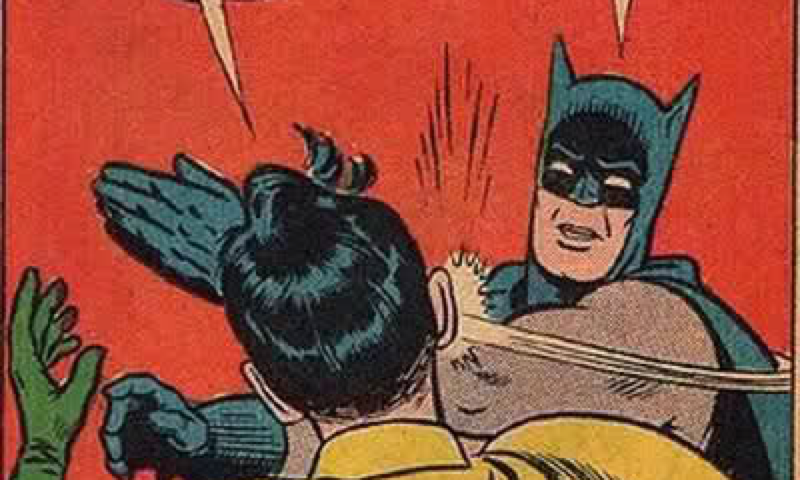 There is some brief discussion of the Batman Slapping Robin meme in it.